Everyone has their own unique Christmas traditions. Some are fun and festive, others are more solemn in nature. One tradition that almost every family has is the sharing of traditional Christmas stories. As a child and now as an adult, I love to read the well-known Christmas tales each season. I've included (in order of publication years) five tales that I think are the most loved classics. If you click on the links below each picture, you'll be taken to a free audio version of each story. Enjoy! 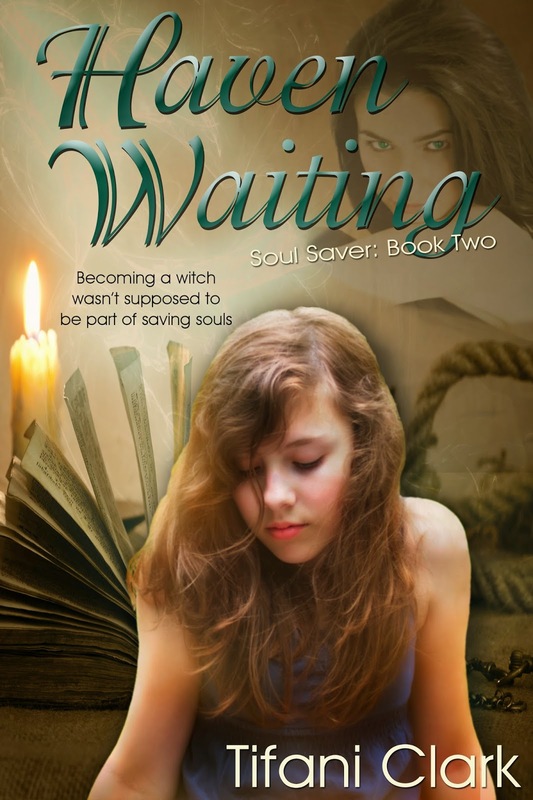 And don't forget to enter my giveaway for 5 Golden Rings (a.k.a. Krispy Kreme Donuts)! Some might be surprised to know that this classic tale didn't start as a ballet. Nope. 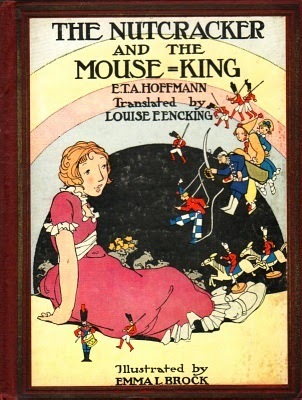 The Nutcracker and the Mouse King was written by E. T. A. Hoffmann two hundred years ago in 1816. The young girl in the original story had the name of Marie, but somehow, over the years, her name evolved into Clara--the name we usually know her by. I first read the story of The Nutcracker when I got a cheap copy of the book through my school book order. Who doesn't love school book orders? I'd save my quarters and buy whichever book was less than $1. As a musician, I've played music from The Nutcracker ballet many times and I always think of the first time I read the little paperback book. As a child, I remember working feverishly one Christmas to memorize this poem/story. Why? No reason. Just because. I know my attempts that Christmas were not unique to me alone. 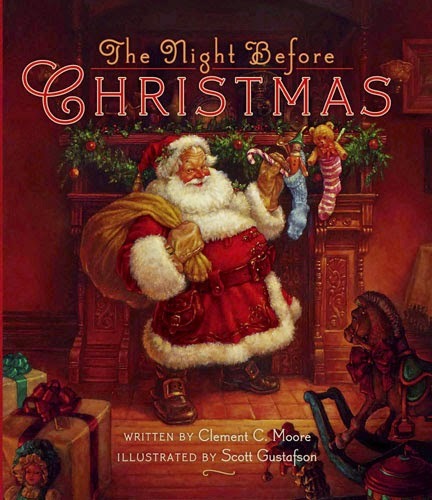 The Night Before Christmas is arguably the most read and most memorized stories of all the Christmas stories in existence. Besides the fun rhymes, what do we get to credit author Clement Clark Moore for? Naming Santaâs reindeer. Everyone knows that Dasher, Dancer, Prancer, Vixen, Comet, Cupid, Donner (a.k.a Dunder) and Blitzen (a.k.a. Blixem) dutifully pull Santaâs sleigh through the skies to deliver Christmas gifts each year. But, if it werenât for Moore, Santaâs reindeer might have remained unnamed. According to legend, Moore wrote this famous story as a poem for his children for Christmas in 1822. The following Christmas, a family friend submitted the poem to the newspaper and they published it anonymously. It wasnât until 20 years later that Moore took ownership of the tale. Have you ever wondered why we say Merry Christmas to each other? Have you ever called anyone a scrooge? Have you ever said Bah Humbug when you werenât quite feeling the Christmas spirit? The phrase âMerry Christmasâ didnât become popular until after the publication of Charles Dickinsâ A Christmas Carol in December 1843 and scrooge is even listed in the dictionary as 'any miserly person.' It only took Dickins 6 weeks to write this beloved story and after disagreements with the publishing house, he published the story himself. 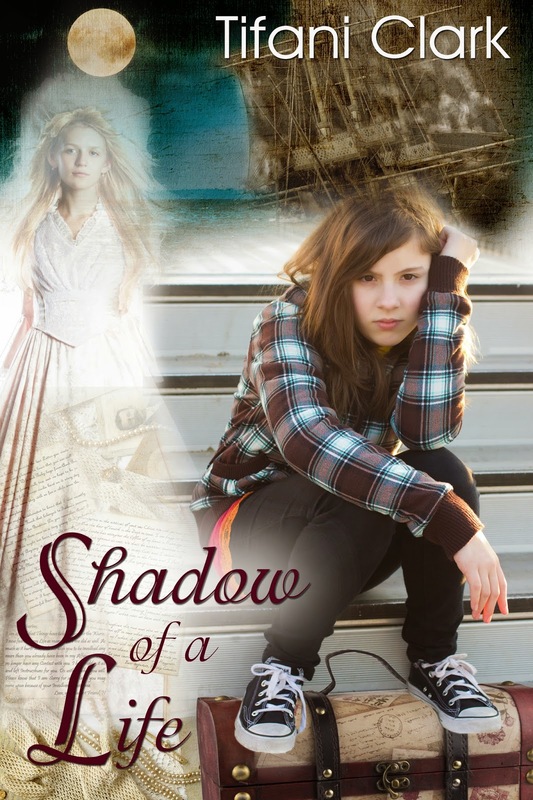 The story has never been out of publication since its release more than 170 years ago. It has inspired countless films, broadcasts, plays, and paintings. I think few people would argue that A Christmas Carol is one of the most influential Christmas tales of all time. 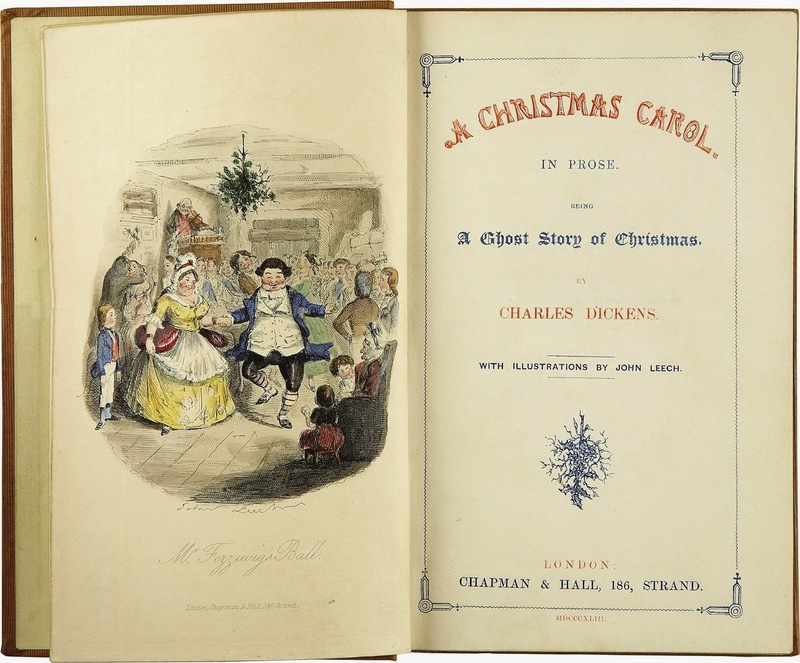 A theme in many of Charles Dickensâ stories, including A Christmas Carol, is poverty. Poverty was something Dickins knew all too well. When Charles was young, his father was thrown into debtorâs prison and Charles was forced to work in a factory at the age of 12. His experiences in the factory stayed with him for life and greatly influenced his writing. Not only did scrooge make it into Dictionary.comâs database, so did grinch (n. a person or thing that damages or spoils the pleasure of others). Most people have seen the film The Grinch starring Jim Carrey or the animated version from the sixties. Iâm pretty sure every school class plays one version or another at least twelve times during the Christmas season. But, the story didnât start out as a movie. Nope. 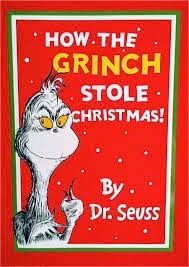 Dr. Seuss wrote the story in 1957 and many believe he used himself as a model for the Grinch. How well do you know this beloved story? Find out below. 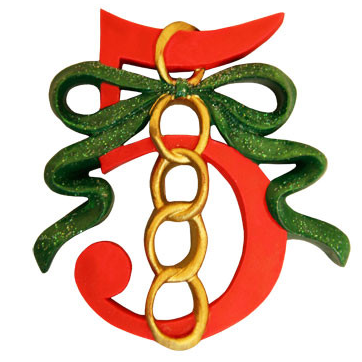 What is the name of the town from which the Grinch attempted to steal Christmas? What is the name of the Grinch's dog? What is the real name of Dr. Seuss? I'll admit it. I hesitated to include this story in the five golden classics. Published in 1985, this story isn't nearly as old as the others on my list. But, after going over all my options of great stories, I knew I had to include it. 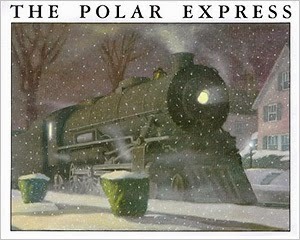 As far as classic Christmas stories go, I don't think The Polar Express is going to disappear as a favorite any time soon. In 1986, The Polar Express received the Caldecott Medal and in 2012 it was named as one of the Top 100 Picture Books of all time. What's the most important thing we learn from "The Polar Express"? To believe. Believe in ourselves, believe in others, and most importantly...believe in the magic of Christmas. Thanks for reading! And don't forget to enter my giveaway for 5 Golden Rings (aka Krispy Kreme Doughnuts). Check out my blog here: Author Tifani Clark or look me up on Facebook. AVAILABLE ON JANUARY 12, 2015!